It's hard not to squeal when looking at this seal and its sweet stuffed-animal seal best friend. The perfect pair lives in the Seal Paradise exhibit at Mombetsu Land in Japan. 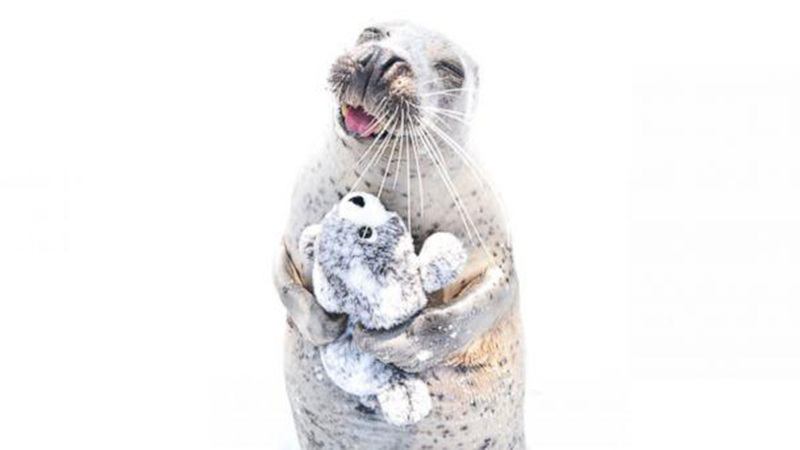 When holding the cuddly stuffed seal, the real seal absolutely cannot contain its excitement.